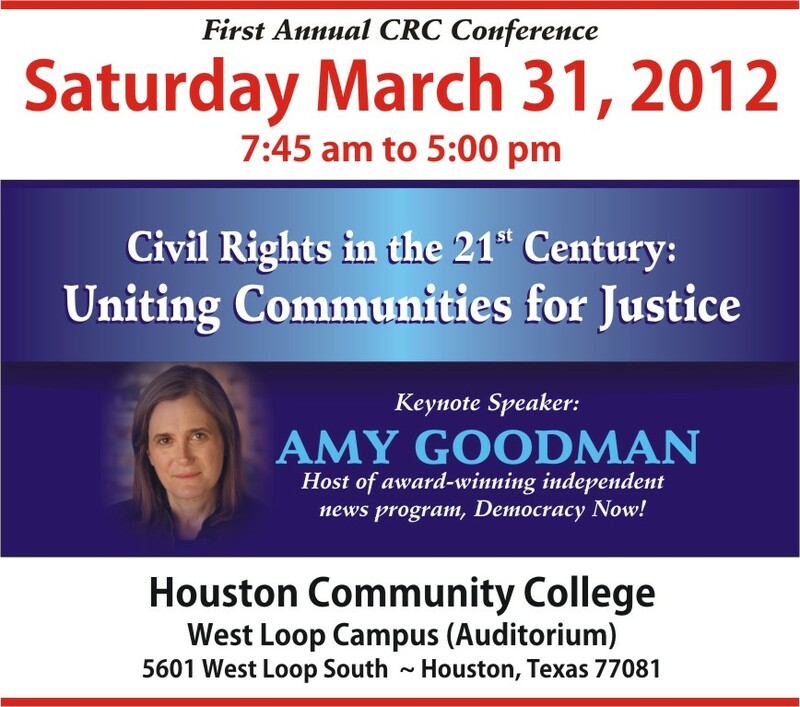 Keynote Speaker: Amy Goodman, Host and Executive Producer of Democray Now! Join us Saturday March 31st, at the Houston Community College – West Loop Campus Auditorium! This is a historic gathering of a broad range of groups coming together in the name of civil rights and justice. Ten organizations – representing a broad spectrum of interests and communities – are sponsoring the event. A day-long program will feature speakers and discussion of important issues related to civil liberties post 9/11, immigrants rights, and criminal justice reform.